This fab Failsworth Vintage Sixties style textured check Gatsby hat is just the ticket for finishing off your Retro ensemble. Elegant and stand out with a hint of Mod chic. Made from finest Harris Tweed. Dyed, spun and hand woven at the home of the weaver and finished in the Outer Hebrides of Scotland. Harris Tweed orb of authenticity label to the interior head band. A Fab Sixties Mod Style Ladies Gatsby style Cap. In a striking red and green colour way with Retro chalk line strike through. A great accessory - The Failsworth Harris Tweed Check Gatsby Hat. FAILSWORTH HARRIS TWEED RETRO SIXTIES MOD CHECK GATSBY CAP. 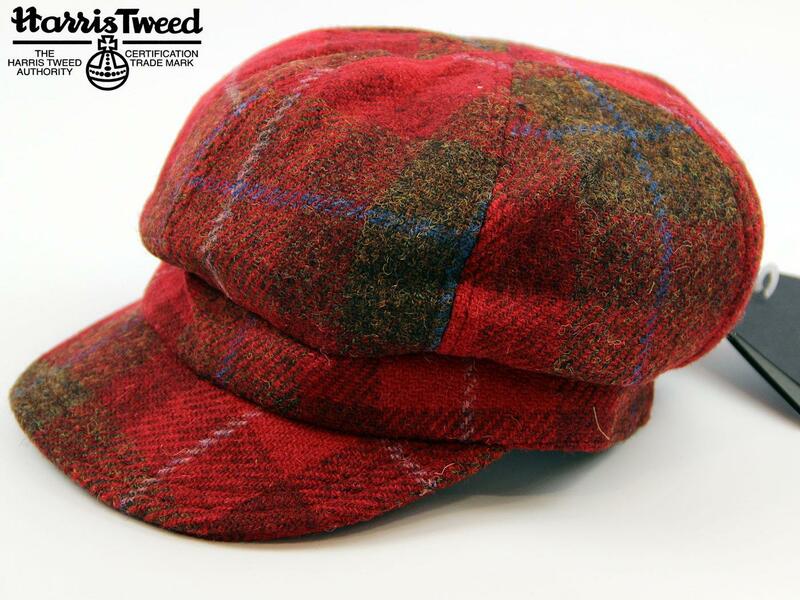 SKU: 7093 Harris Tweed Check Gatsby Cap by Failsworth. Failsworth Harris Tweed Retro 60s Mod Check Gatsby Hat (Red).